Mon., April 16, 2018, 9:51 a.m.
RICHLAND, WA — No settlement agreement between a former Hanford contractor and the U.S. Department of Justice was filed in federal court by a Friday deadline. The Department of Justice said it likely will oppose any requests for additional delays in the case to reach an agreement.. The Department of Justice has accused Washington Closure Hanford of knowingly awarding small business subcontracts to front companies at the Hanford nuclear reservation. Washington Closure and the Department of Justice reached a tentative settlement agreement in the lawsuit around the first of the year, after other parties still in the case reached their own settlement agreements with the Department of Justice. The Department of Justice says that the tentative agreement has not been finalized as Washington Closure must first resolve some issues related to the closeout of its contract with the Department of Energy, which are unrelated to the federal lawsuit. 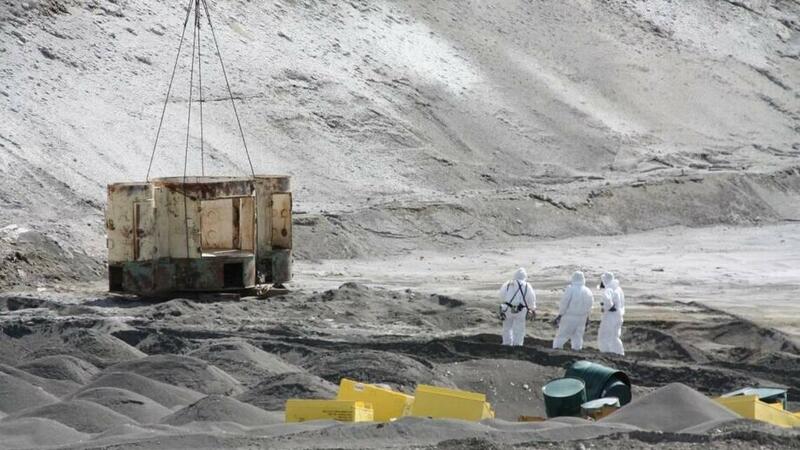 Washington Closure’s contract for environmental cleanup at Hanford near the Columbia River expired in September 2016 with most work completed. The Department of Justice said in a court filing Friday that it understands that negotiations with DOE may have reached a standstill. “Unfortunately, after over three months of negotiations on contract close-out issues, unrelated to the instant litigation, it does not appear as though there is a definitive end point for resolving those issues,” the Department of Justice told the judge. Washington Closure may go through a separate appeal process on its DOE contract closeout with the Civilian Board of Contract Appeals, according to the Department of Justice. Washington Closure did not file an update with the court on Friday. The former contractor is owned by AECOM, Jacobs and Bechtel. The judge plans a hearing on Friday. Published: April 16, 2018, 9:51 a.m.